Healthy, beautiful teeth contribute significantly to our quality of life. They are an essential part of our appearance and daily eating habits. Choosing the right material is a very important part of the smile reconstruction process. The titanium dental implant has long been the standard for replacing a missing tooth. However, zirconia implants have been available on the European market for years. The zirconia dental implants are made of special ceramic (zirconium oxide, ZrO2) that is used in the spaceships because of its high resistance to fracture and heat. 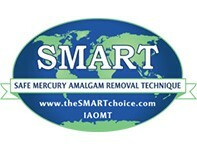 Free Consultations Available on Many of our Services! Contact Us or Click to Call +1973-718-5104 Today! Holistic Dental Center Patient Loves His Zirconia Implants! Holistic: Zirconia implants are a holistic solution for absolutely metal-free dentistry. Aesthetic: The white color of zirconium substitutes the metallic appearance of titanium. 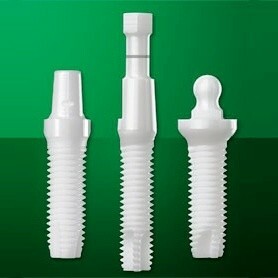 Hygienic: Ceramic implants and crowns retain less plaque and calculus than titanium, therefore promoting healthier gums. Bio-compatible: Zirconium is an inert material with very low allergic potential. Strong: The flexural strength of the zirconia dental implant is close to 1200 MPa. Osseointegrative: Zirconia implants have proven high level of osseointegration (meaning the bone fuses to the implant), confirmed in numerous studies in Germany and the USA. When teeth are made from artificial biomaterials, it is essential to use ceramics of uncompromised quality in terms of appearance, mechanical strength, and functional safety. Oxide ceramics have been proven effective in all fields. Since the 1980s, when zirconia implants were proposed for use in dentistry due to success with hip implants, important progress has been made to assure zirconia’s safety and success. Zirconia ceramic implants have also been recommended as the preferred implant for tooth replacement.